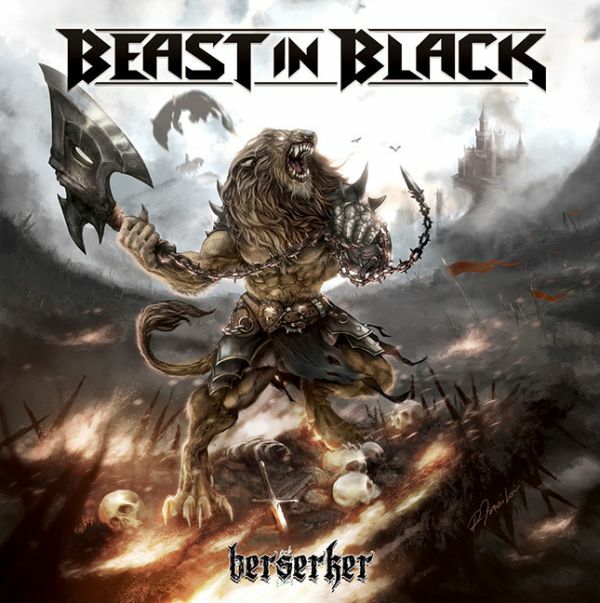 BEAST IN BLACK [ex-BATTLE BEAST] - BERSERKER (CD) | Online Shop | Wizard LTD.
»Berserker« kicks off with the rapid opener &apos;Beast In Black&apos;. “As well as the band name, this track was inspired by a character from the »Berserk« manga. And though the lyrics are directly connected to that character they are also speaking in metaphors about something personal. It’s one of the most powerful songs on the album and Kasperi’s guitar solo in this one is probably the best one on the whole album!” With &apos;Blind And Frozen&apos;, a super catchy and massive song follows. “Yannis&apos; interpretation and performance here is nothing short of pure perfection,” the guitar wizard fancies. The most monumental, loud sing-along type of chorus on the album comes along with &apos;Blood Of A Lion&apos;. Anton reveals: “This song was actually one of the candidates for the »Unholy Savior« album of BATTLE BEAST but I decided not to use it then.” Right after the pounding &apos;Born Again&apos;, &apos;Zodd The Immortal&apos; attacks the listeners ears with its sharp claws. “It’s s the most aggressive song on the album, especially vocal-wise, and it’s also »Berserk« related so I hope that all the fans of »Berserk« will like this one too.” After another straight forward track, &apos;The Fifth Angel&apos;, the disco and dance music influenced &apos;Crazy, Mad, Insane&apos; gives the listener a short breather. “Well, the title says it all. It’s the craziest and maybe the weirdest song to be on a heavy metal album,” he laughs. “If you are a friend of Italo disco and 80&apos;s synth pop, you’ll like this one!” Followed by &apos;Eternal Fire&apos; with its dominant keyboards, and &apos;End Of The World&apos;, which was already played live at the band’s previous gigs, »Berserker« slowly comes to an end in the form of a classical heavy metal ballad titled &apos;Ghost In The Rain&apos;.